Are you looking for a large holiday cottage for groups in Derbyshire, then the Derbyshire Dales Ashbourne Accommodation Group is here to help you to find what you are searching for. We have a large selection of really beautiful large holiday cottages in some fabulous Derbyshire locations waiting for your call. Our properties are all approximately within a 12 mile circle of the pretty Market Town of Ashbourne, full of historic buildings, antique shops and cafes, and located just a short drive from the popular towns of Matlock Bath, Bakewell and Buxton. Derbyshire has many pretty villages to visit, with character cottages and listed buildings that are steeped in history. There are many holidays cottages for large groups in Derbyshire that are either in these villages or dotted in between to make them easily accessible for you to visit. Ashbourne, Wirksworth, Carsington, Alstonefield, Throwley, Ilam, Bradbourne, Tissington, Whetton, Yeldersley, Offcote, Kirk Ireton, Sudbury, Ashford in the Water, and the plague Village of Eyam are but a few. Many of our holiday cottages are perfectly tailored to accommodate groups in Derbyshire with, large dining areas, hot tubs, saunas, pampering available and a host of activities available either at the cottages or close by to ensure guests have their choice of either an action packed weekend or the peace and tranquillity they need. The choice is yours to make. Each of our large cottages, all featured on our website will also have a link to their own personal website giving you full details of all they can offer, enabling you to choose the one most suited to your group and requirements. Derbyshire is centrally located in the middle of the UK, giving the most optimum distance for your guests to travel from all areas, which is an important criteria as families and friends move across the country and indeed the globe over the years. For large, luxurious holiday cottages for groups in Derbyshire look no further, we are here to provide you with the cottage to suit your needs and the memories to cherish of your time with us. 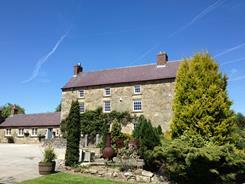 This entry was posted in News & Updates and tagged ashbourne accommodation, Holiday Cottages for Groups in Derbyshire. Bookmark the permalink.